I have spent a couple of days thinking up interesting names and titles for this new series I want to create on my blog. I just couldn’t come up with a name until today, the “Beauty Showdown” series. This isn’t a new idea, it’s pretty common in the beauty industry to compare similar products and give their opinion on what’s better. 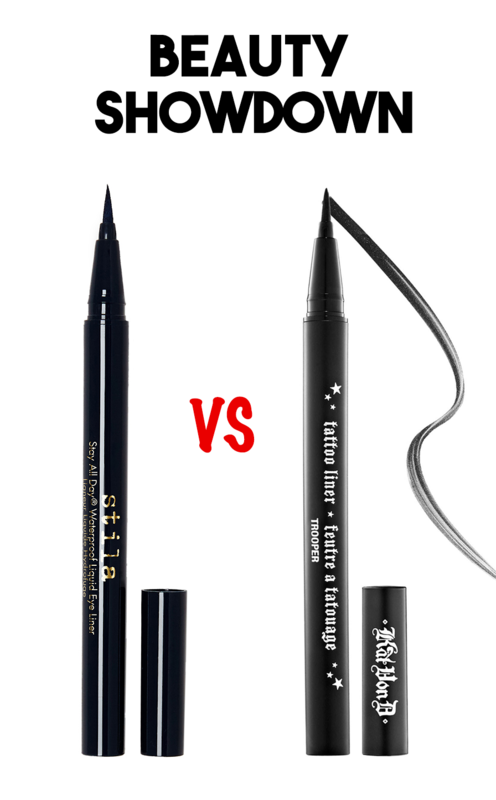 This week’s beauty showdown is the Kat Von D Tattoo Liner vs Stila All Day Waterproof Liquid Eyeliner. 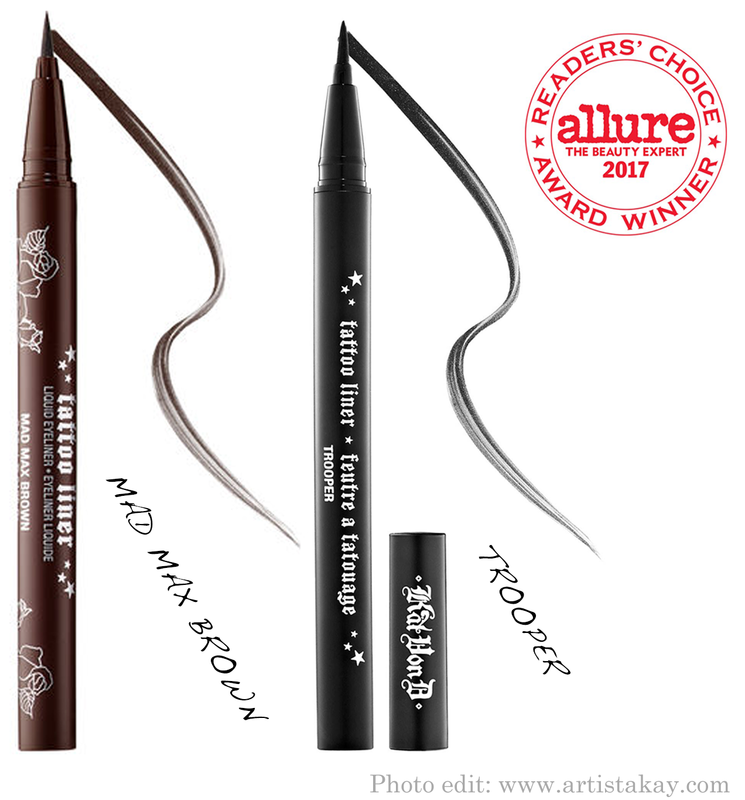 I have used both products and had made up my mind on which liner is better. I did run out of both products, so currently I am not using either of them, for now, I use the Inglot gel liner, so both are out of reach. The only one will be repurchased soon, keep on reading to find out who is the better liner! Pros: Its longevity is great, dries within seconds, which can be annoying for some but for me this is my favorite part because I hate when eyeliner won’t dry fast enough and then the eyeliner transfers onto the crease. The consistency of the ink is dark than when it dries, it dries down matte and the color payoff is great. Cons: The felt tip is my only issue, the bristles on the tip frayed towards the sides, this was annoying to work with. I have done some digging around and found out that I wasn’t the only one who had this issue. So Kat Von D, if you ever stumble across this review, please create a better tip for the Tattoo liner! This line of liners only has two shades, Mad Max and the Trooper. She does have another line of liners, but these can’t be beaten. The Tattoo Liner retails for $18 and is sold at Sephora. If you want to read more on this product, I did do a blog post sole on this product, check it out. This product retails for $22 and can be purchased in several stores, Ulta, Sephora, Amazon and etc..
We all feel the tension between these two liners, but I think its clear to see what is the better option…… drum roll, please? The winner is the Kat Von D Trooper Liner! I know some might not agree but this is my experience between these two. What is your favorite eyeliner!? What is a Transition Shade and Why it is Crucial Step in Your Eye Makeup Application!